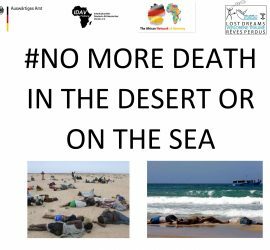 Lost Dreams – The African Network of Germany e.V. 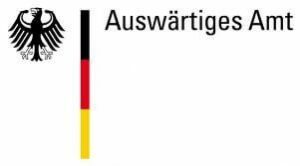 The African Network of Germany e.V. “Lost Dreams” is a film project of the federal network TANG in cooperation with the African Diaspora of Germany, the Federal Foreign Office, cooperation partners from Germany and 6 of the top 10 strongest African countries of origin. The main aim of this educational work is to prevent the loss and endangering of human life on the way to Europe. Other objectives are to clarify the dangers of the escape routes across the Mediterranean and to correct false information about Europe and Germany, which are spread by human smugglers and to attract customers.